Legends, legends, legends! 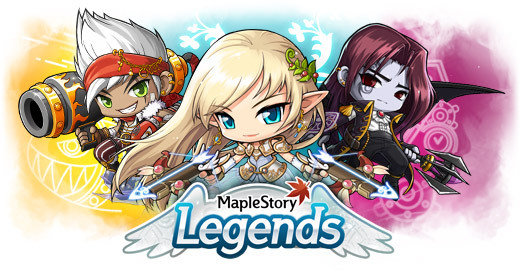 From a Hot Time event this Saturday to a long list of ongoing events, Legends is in full swing in Maple World. Read the update notes, as well as the latest editions of the AcornStory and Maple Stories for everything you need to know about the Cannoneer. To see what's next, visit the teaser site for a sneak peek at Mercedes! December Gachapon is here with a new Chair King, and World Transfers and Name Changes are back in the Cash Shop. Karma Koin is bringing you a chance to double your NX this month. Finally, Maplers discuss their top picks for Hot Time prizes in the Question of the Week. 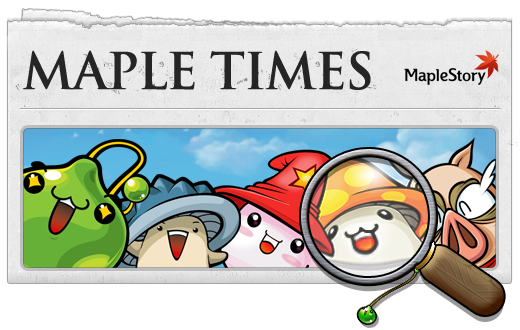 Stick with Maple Times for everything you need to know about MapleStory. 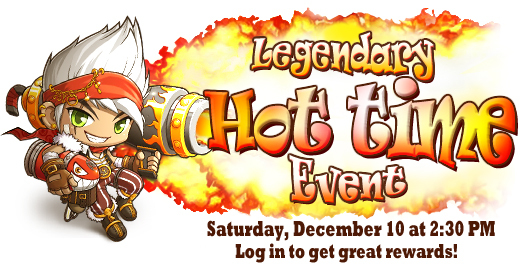 Get ready for a Legendary Hot Time event! This Saturday, December 10, all Maplers that are logged in from 2:30 PM - 2:31 PM Pacific will receive a gift box guaranteed to contain 1 SP Reset Scroll and an item to give you EXP for one trait! Arrive early and stick around to take advantage of a 2x EXP and Drop event! Get the low down on everything Legends with the update notes, covering the Cannoneer, a number of not-to-be-missed events including the Legends Awards, and more! The first part of Legends is live, and we have a long list of events to accompany the arrival of the Cannoneer and the holiday season! Read on and head into Maple World to get started. The Mercedes Teaser Site -- Unlocked! Cannoneers have arrived, and the next in line is our newest hero, Mercedes! Head over to her teaser site for exclusive videos and juicy details about the leader of the Elves. Get even more out of the upcoming weekend with 2x EXP coupons, on sale now in the Cash Shop! Also available are name changes and world transfers, back after a brief hiatus, the Magic Music Box, new pets, and new permanent decorative equipment! The Legends update is here! Celebrate with a series of Gachapon Grand Prizes, a new Chair King chair, and a new mount! See what's in store for you this month in Gachapon! Sometimes help can come from the strangest of places. Who could have predicted a mighty foe might emerge from the wreckage of ship? Read the latest edition of the AcornStory for everything you need to know about Maple World's new hero, the Cannoneer! "The winds were screaming of great battles, powerful magic and terrible evils that threatened the world. Someone was going to have to step up and do something about it and, alas, it fell to my people. And by 'my people,' of course, I mean me." Read the fictional prelude to the Cannoneer's legendary arrival! Get 2X the NX with Karma Koin! Every time you redeem a Karma Koin, you do a little bit of good in the world. Shouldn’t that good karma come back to you? Now you can get rewarded with twice the cash in the Karma Koin Double NX promotion! Don't forgot a Hot Time event will happen this Saturday for one minute at 2:30 PM Pacific so what items do you hope to get during Hot Time? Why do you want that item? Maple Cannon Laser Shooter, Bc I Think It Would Be Awesome To Have A Maple Cannon With A Laser On It :D - Austin W.
I want a Horntail Necklace! - Angel A.
I would like the Hero of Legend medal for my Battle Mage because it's unique just like my mage! Also, +10 to all stats and an hp and mp boost would be extra helpful too! - Michelle D.
What are you waiting for? Start the game now!